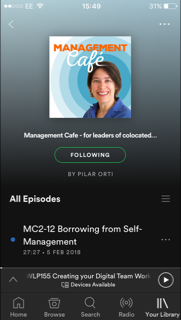 In this episode, Pilar talks to Paul Thoresen, organisational consultant, about developing teams, trust and using surveys in organisations. You can follow our conversation and the links we mention with the show notes below. The importance of change management for organisational psychology professionals, most of what we introduce in organisations is going to involve change. Experimenting vs piloting; they're different things. Teams and groups; not everyone forms a team and that's ok! The importance of propensity to trust and swift trust. How we can show we have integrity, competence and benevolent in virtual teams? To create strong teams, you need the processes around it. Paul's work. Social media as a support mechanism for freelancers. Older PostWLP120 Work Life... what? Balance? Fusion? Interference?